Humans have five important sense organs to help them live their day-to-day lives: eyes to see, ears to hear, a tongue to taste, a nose to smell, and skin to touch. Of these, the eyes are by far the most important sensory organs for most people. In fact, scientists tell us that about 80 percent of the information the brain receives comes from the eyes. It would be hard to imagine life without the gift of sight. We use our eyes in almost everything we do, whether it’s driving a car, working at the computer, reading a book, making dinner or watching television. Good vision is important for communicating, working, learning and quality of life. It can also be a great source of happiness, whether you’re looking at your spouse’s smile or a beautiful sunset, or watching your child’s school play. Good nutrition is one of the most important factors in keeping your eyes healthy. Eating right can help prevent vision loss due to various eye diseases, as well as prevent problems with night vision, macular degeneration and dry eyes. One of the best foods to promote eye health is blueberries. The reason blueberries are so good for you is because they’re packed with vitamins C, A and E, and zinc. Vitamin C has been linked with reducing the onset of glaucoma as well as maintaining connective tissues in the eye. Vitamin A has been known to fight inflammation in the eye as well as treat dry eyes. Vitamin E has been linked with the prevention of cataracts. Zinc is best known to protect against macular degeneration and night blindness. In addition, blueberries have the compound anthocyanin in them, which has antioxidant and anti-inflammatory properties that may also help improve your vision. Of course, there are other many other foods you should be eating to nourish your eyes. Dark leafy greens, yellow peppers, pumpkin, sweet potatoes, carrots and egg yolks are all high in vitamins A, C and E, minerals like copper and zinc, and antioxidants like beta-carotene, lutein and zeaxanthin—all of which are essential to eyesight and help protect the macula from sun damage and age-related degeneration. Garlic, capers, onions and shallots are rich in sulfur, cysteine and lecithin, which help deter the formation of cataracts. Cold water fish such as salmon, mackerel, rainbow trout, sardines and herring are all high in omega-3 fatty acids, and can prevent macular degeneration as well as dry eyes. Eggs, butter, milk, beef and chicken liver are all rich in vitamin A, which may protect against night blindness and dry eyes. These are just a few of the foods you should be eating, not only to boost eye health, but to strengthen your whole body. Always wear your sunglasses in the summertime. It is proven that UV rays can seriously damage your eyes, but good sunglasses can prevent this damage. When buying sunglasses, make sure they block at least 98 percent of ultraviolet A and ultraviolet B radiation. Contrary to popular belief, light sunglasses can block UV rays as well as very dark ones, even though dark glasses usually offer more protection against bright sunlight. Your eye doctor’s office is often the best place to buy a pair of good sunglasses, although many online retailers and discount stores also carry a wide selection of optometrist-approved sunglasses. Staring at small type and images on computer screens, tablets, gaming systems and cell phones has become a way of life for most people nowadays. However, too much time in front of a screen with no breaks can cause eyestrain and side effects such as blurred vision, trouble focusing and dry eye, and can even increase your chances of becoming nearsighted. To cut down on eye strain, try to take a break away from your screen for at least 10 minutes every hour. While you are working in front of the computer, follow the 10-10-10 rule. This means you should focus your eyes on an object at least 10 feet away for 10 seconds, after every 10-minute period at the computer. This will help relax your eyes. You can also strain your eyes by viewing 3D movies, which are very popular in Dubai’s cinemas, particularly among kids. Several recent studies indicate that prolonged viewing of 3D entertainment can lead to eye strain and fatigue, visual discomfort, dizziness and headaches. People with marginal binocular vision are especially prone to these problems. One way to reduce eye strain while watching a 3D movie is to sit in the middle of the theater, not too near or too far from the screen; this provides you with the full 3D experience, without your eyes having to strain to perceive something that may feel unnatural to your eyes. The other thing you can do is to occasionally remove the 3D glasses during the movie and close your eyes for a couple seconds to rest your eyes. Of course computers and 3D entertainment aren’t the causes of eye strain. Driving long distances can also result in tired and sore eyes. Many people who live in Dubai work in Abu Dhabi (and vice versa), and have long commutes. Your eyes can become sore from having to focus on the road and squinting to see the details. One way to reduce eye strain while driving is to use eye drops to moisturize your eyes so they don’t dry out while you’re in the car. Wearing sunglasses can also help; this is especially important if there is a glare on the windshield or if the sun is directly in front of you. Counterfeit pharmaceuticals, which are typically purchased online, are on the rise around the globe. In their 2017 study, New York-based research group, the Center for Medicine in the Public Interest, found that worldwide, the counterfeit medicine market is growing twice the rate of the market for legitimate prescription drugs. These products often contain harmful, unregulated ingredients, which if taken, could result in dangerous health consequences and even death. Counterfeit medications can be particularly harmful to your eyes, and cause redness, discharges, eye pain, blurred vision, swelling, tearing, increased light sensitivity, and even infections (such as conjunctivitis) or vision loss. This is in addition to not effectively treating the condition the drug is supposed to address. One counterfeit pharmaceutical that has been in the news a lot is bevacizumab, the fake version of the drug, Avastin (which is used to treat certain eye diseases and cancer). Bevacizumab is known to cause endophthalmitis, which is a serious inflammation of the tissues inside the eye. At least three countries have reported Bevacizumab-related outbreaks of endophthalmitis in recent years, and health officials are concerned that the circulation of this drug is increasing worldwide. The bottom-line is to not take a counterfeit version of Avastin, or any other medication. The lower cost of these drugs is not worth the potential danger to your eyes. Get a yearly dilated eye examination. Having a comprehensive dilated eye examination is the best way to prevent and treat eye diseases. The fact is, while you may see fine now or think your eyes are healthy, a dilated eye examination is the only way to detect serious conditions like glaucoma, macular degeneration, diabetic retinopathy and cataracts. These conditions typically have no warning signs in their early stages. If not detected and treated early, they can cause permanent vision loss. During an eye exam, these diseases will become apparent, which can make the difference between preserving your eyesight and experiencing vision loss. 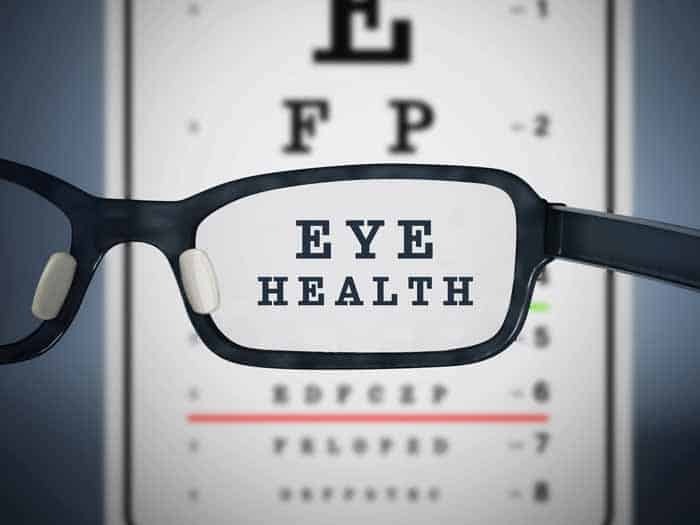 In addition to catching diseases early, during your examination your doctor will be able to make any adjustments in your corrective lenses (if you already wear them), to ensure your prescription is up-to-date. If you spend a lot of time in front of a computer screen, a special pair of computer glasses may be recommended. Are you due for an eye exam? If so, and if you live in Dubai, it’s time to schedule your appointment with Dr. Ashraf. You can reach our office at the Atlanta Vision Clinic by calling +971 4 348 6233, or fill out our online request form and someone from our office will call you shortly. Remember: Your eye health is largely in your control. The most important first step to maintaining good eyesight is to get an eye exam.